When staging a room with props for real estate sales, independent films, photoshoots and more, authenticity goes a long way in making the room look natural and lived in. This is particularly important when looking at where to place prop television sets while dressing your set. 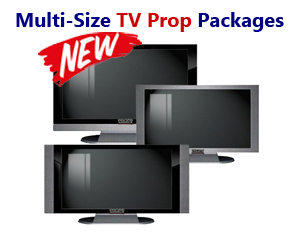 With around 39% of homeowners owning 3 or more TV sets, a prop TV is definitely something to consider ordering if you are dressing a living room, bedroom, kids room, kitchen or any other room where a TV would be appropriate. 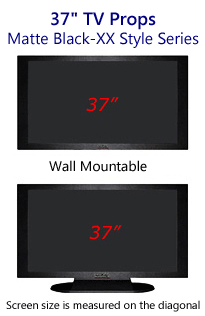 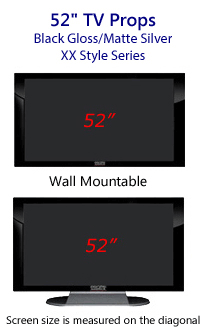 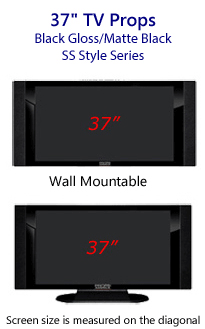 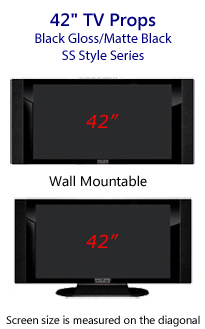 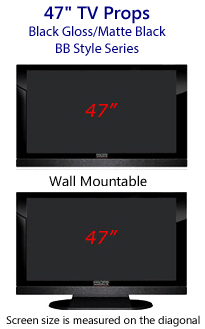 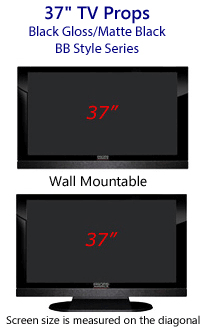 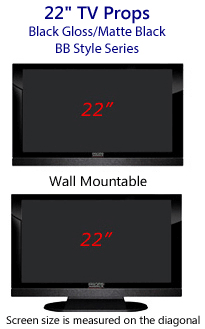 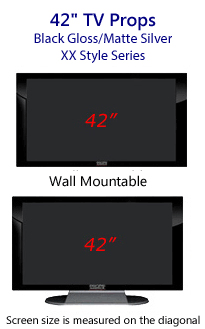 There are a variety of prop TVs ranging from 22"- 60" that are flat screen or curved screen, table mounted or wall mounted. There are many television props available when looking for realistic prop televisions to add the finishing touches to your room or set. 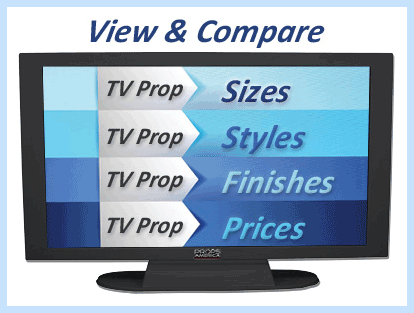 We’ve had a number of customer’s purchase several TV’s at Props America over the years and can therefore share a few tips on what to consider when shopping for TV props. What are key things to consider when placing a prop television in your room? Asides from using a prop TV to fill empty wall space, it can also be seen as a work of art and an important part of the home that families gather around to spend quality time together. This lets you know how important it is to consider the audience you’re selling to. If your demographic is younger and more prone to hosting viewing parties, a larger TV would make sense for the room. If you’re going for an older demographic or one that values watching television content less than millennials or baby-boomers, a smaller TV may make more of a statement than a large one. For the analytically minded there are formulas tossed around to help you choose the proper size TV for your space. One site suggests the "minimum TV dimensions should be one third of the optimal viewing distance and the maximum should be one fifth. For the visually minded, this means that you should keep the optimal viewing distance in mind even if the prop TV doesn't function for the sake of realism. For example, a 60" television may work for a large living room, but may not work for a smaller narrower room where the seating is too close to the television. 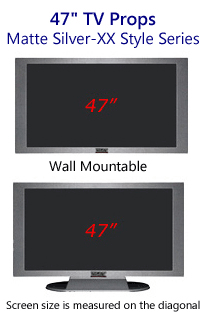 When placing your prop television in your room, you should also consider the angle in which you place it. TV’s are typically recommended to be parallel to your eyes “with no more than a 15-degree angle up or down and no more than a 40-degree angle to the left or right”. 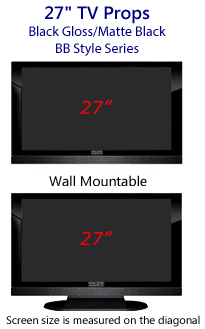 Granted no one will be watching your TV, but the more realistically a prop is placed the more believable it is. 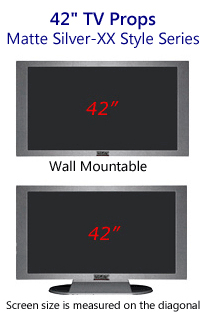 For Larger Prop Televisions: Use larger prop tv’s in large open living rooms and place them in a way that would be parallel to the seating area for the realism. Wall mounted TVs make a great statement on a plain wall with added touches placed around them. Large scale standing TVs also look great when displayed nicely alongside shelves and family photos. (At Props America we also have TV stands and bases to suit many ideas.) As far as style goes, living rooms are a great opportunity to display the next big thing which are currently curved television screens and don’t forget to add the speakers! For Smaller Prop Televisions: Use smaller prop televisions in tighter more narrow or compact rooms. 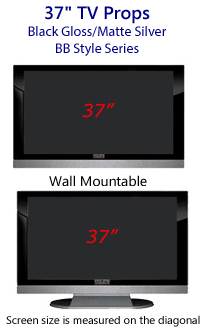 Small prop TVs typically work well in bedrooms, kitchens or places where you wouldn’t usually expect the family to sit and watch TV together. Smaller TVs may not be a ‘statement piece’ but they can add a lot to making a room look lived in and natural. 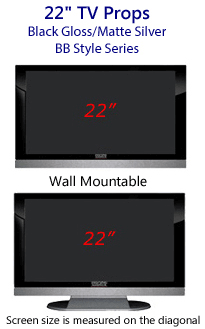 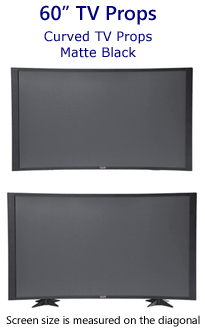 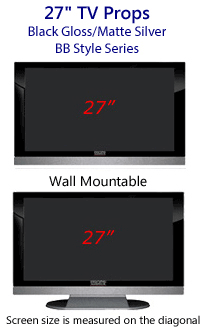 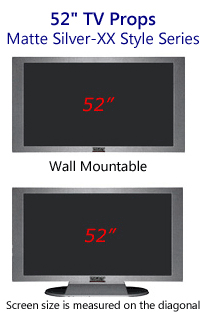 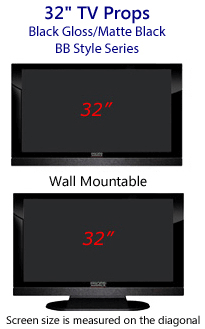 At Props America, we have televisions galore that will work great for your next project. 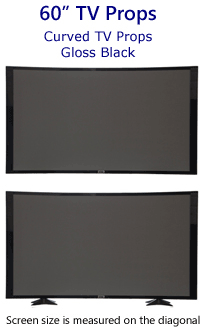 Our professional customer service team can answer any questions you may have about the quality of our TV props and how you intend to use them. 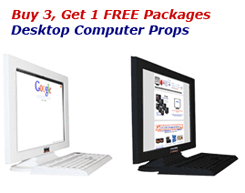 We make the ordering process easy for you! 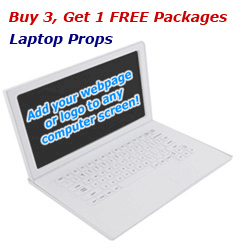 For more information on Props America, our TV’s or other fake electronic props, contact us.